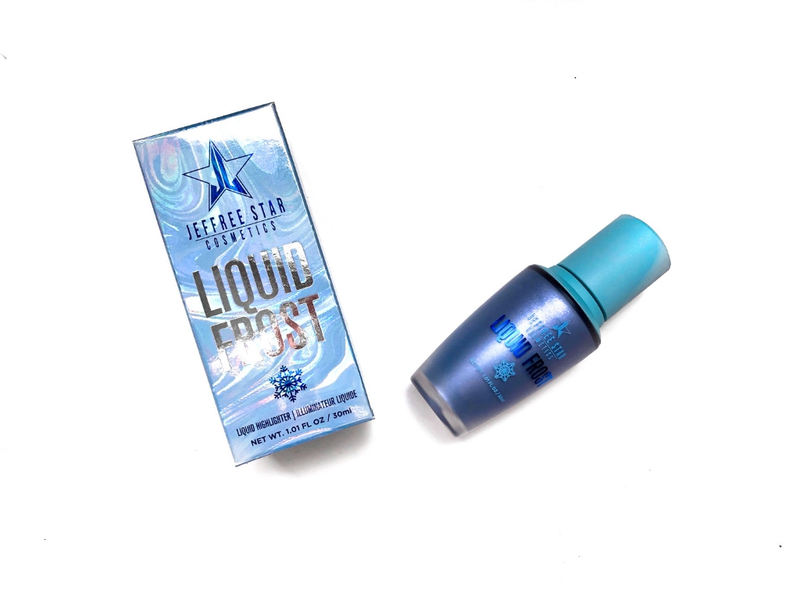 Today’s review is going to be of the Jeffree Star Cosmetics Liquid Frost in the shade Blue Balls from the Blue Blood Collection. 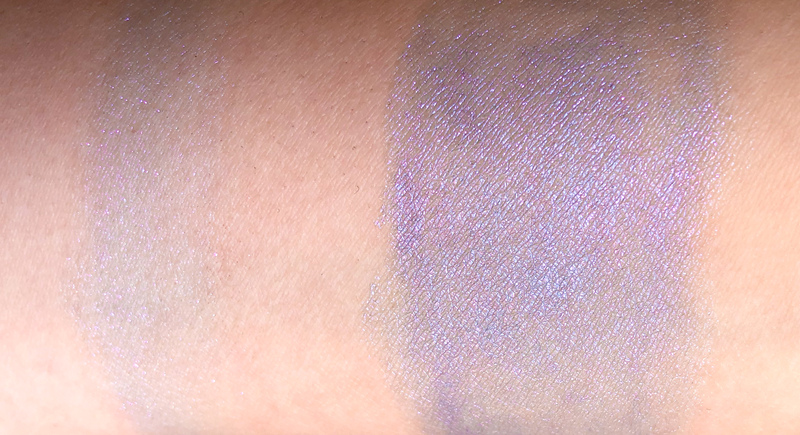 I’ve wanted to try JSC for forever now since I’m a super fan of Jeffree and to be honest this collection is so not me, but this highlighter looked so cool online I had to give it a chance. 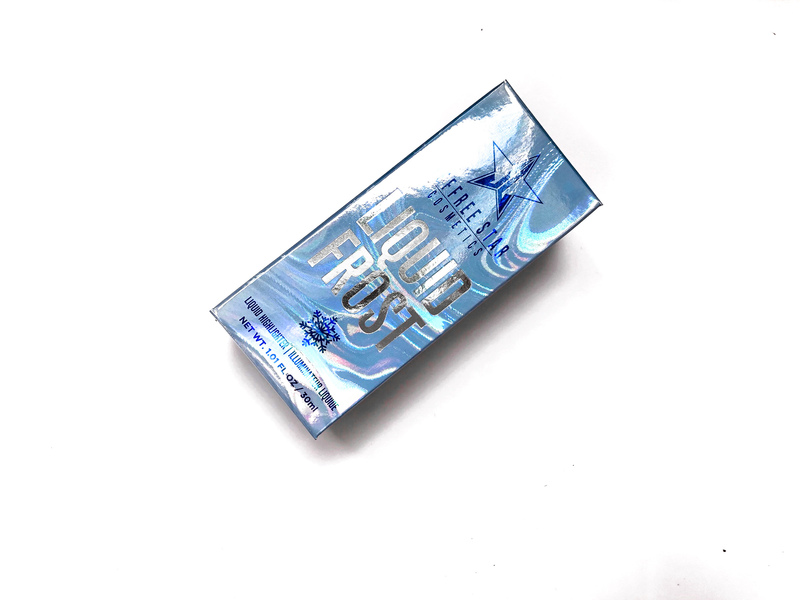 Of course, I know this blue shade is not something for everyone but even if this shade is not for you, you can still appreciate the review for the formula in case you were interested in the Liquid Frosts. They have more wearable shades, as well. 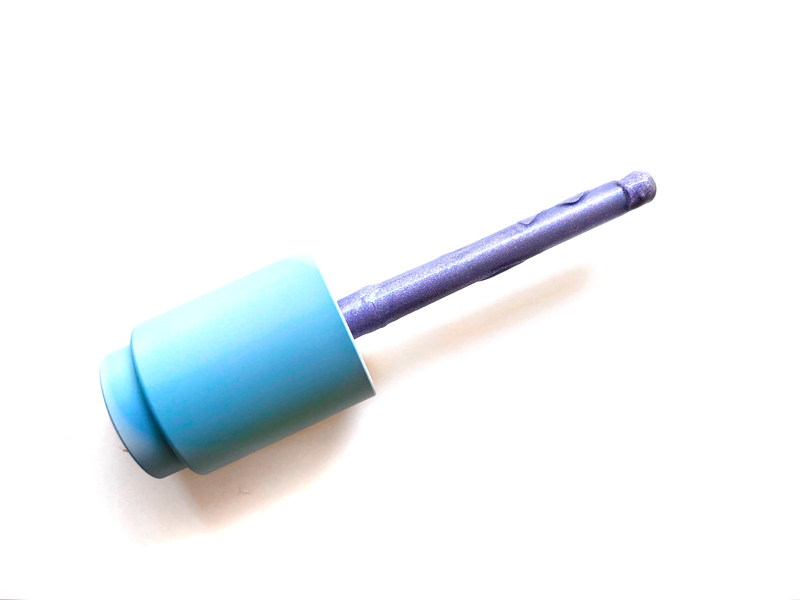 It’s a frozen true blue shade with fine reflects of pink. The packaging is very pretty. It’s a very big bottle, you have to twist the cup to get the pipette top to lift and work. 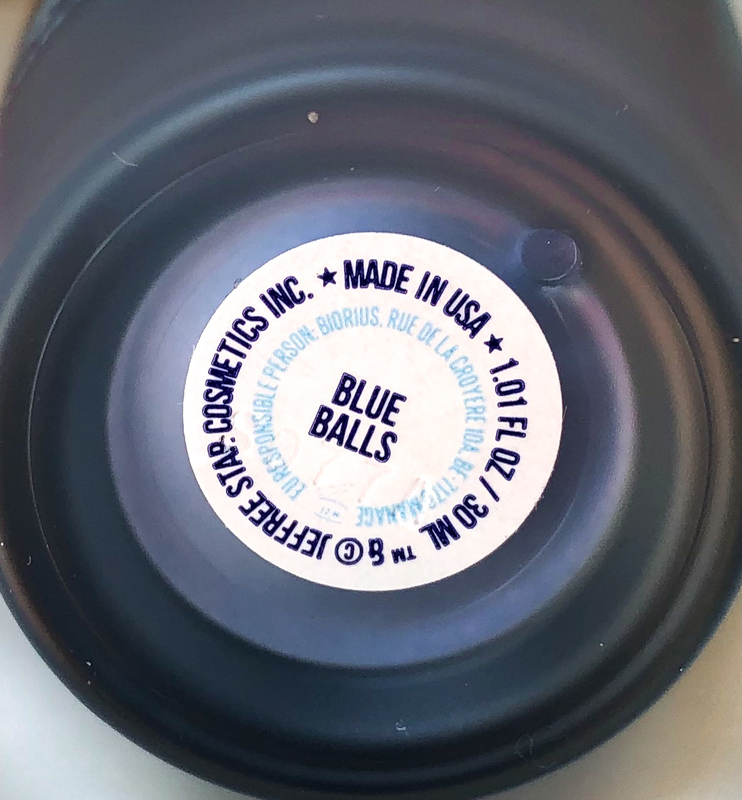 The light blue of the box is gorgeous, the shade name is at the bottom. You can squirt a drop of it (you won’t need much) on your hand and apply it with your fingers, or a brush or a sponge. 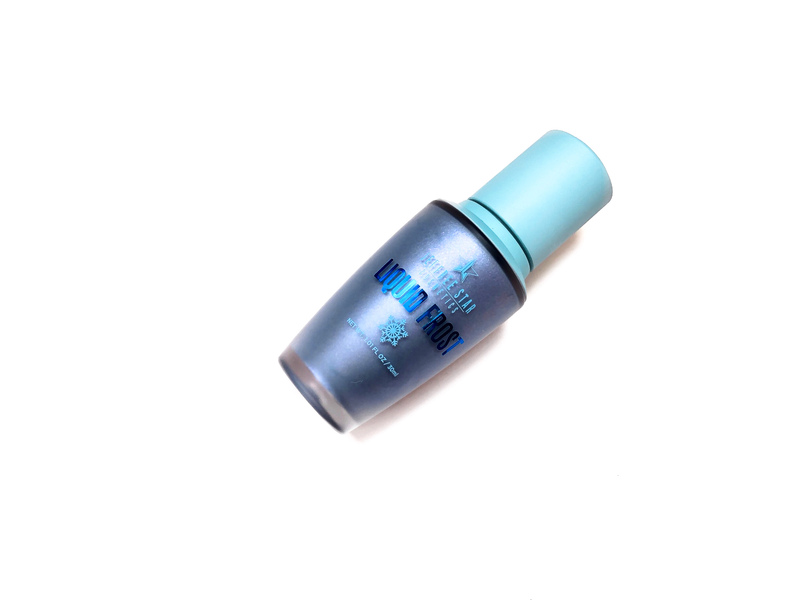 It’s the quite intense, very smooth and it has a medium, buildable pigmentation. It glides on the skin and it’s not patchy. I love this colour but sadly it doesn’t work for me, you’ll see in the photo: when the light hits it, it looks STUNNING, but from up front, I look like a bruise. Now, I knew that the blue wouldn’t be the best colour for me so I’m planning to use it mixed with another highlighter that’s a bit lighter or mixed with my foundation or even just on the body. 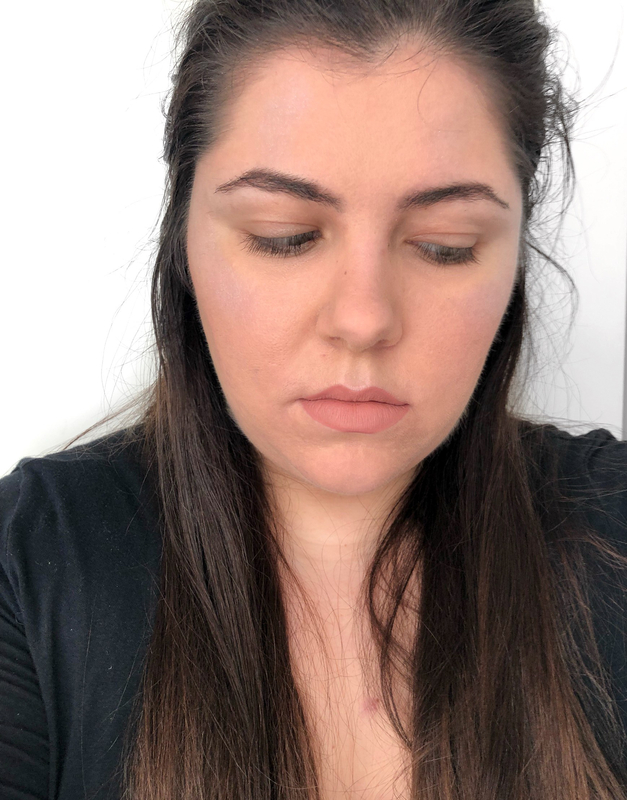 Having oily skin that’s all right for me, I’m not the biggest fan of liquid highlighters for the face anyway even if this one is really nice and not greasy. On me, it lasts around 5 hours without fading. 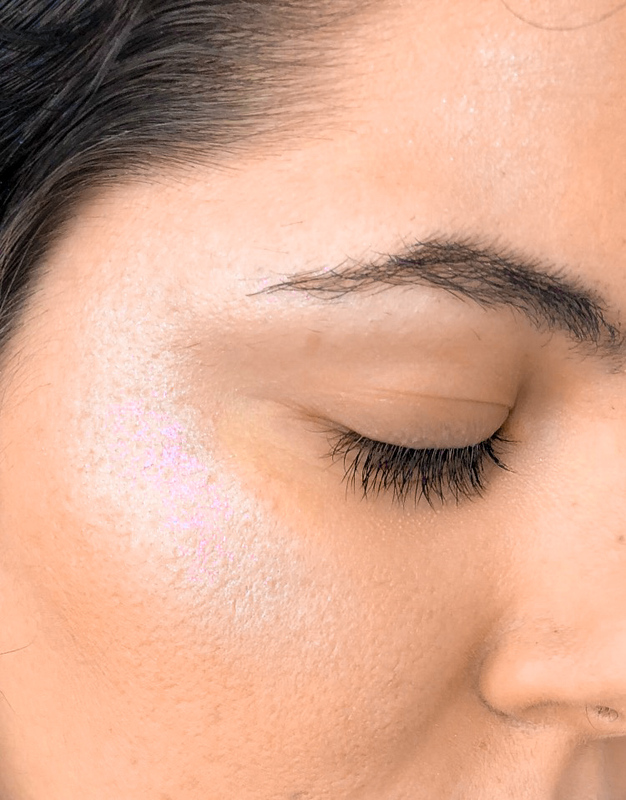 I love this highlighter, I love the colour even if it doesn’t work for me, the only problem is that I can’t really use it on the face because it looks like a bruise but there are many other ways I can use it so I really don’t mind, the formula is amazing, it has a great lasting power and overall I’m very impressed. I think you get a lot of product for money so I might get another, more wearable shade. This is a new brand for me! I’ve never seen this sort of thing before. It’s so pretty! You’re right, Mimi! It DOES look like a bruise. And the name is SO tacky. Oh wow yea, your skin definitely looks bruised with that blue highlight! Didn’t Fenty also come out with crazy colored highlighters too, but in powders? Like blue & purple, etc? I like the creativity but those definitely wouldn’t work on lighter skin tones. Detto onestamente, non mi fa impazzire. I’ve never seen a blue highlighter before! I’m not sure I care for it’s intended use but could find some other fun ways to use it!